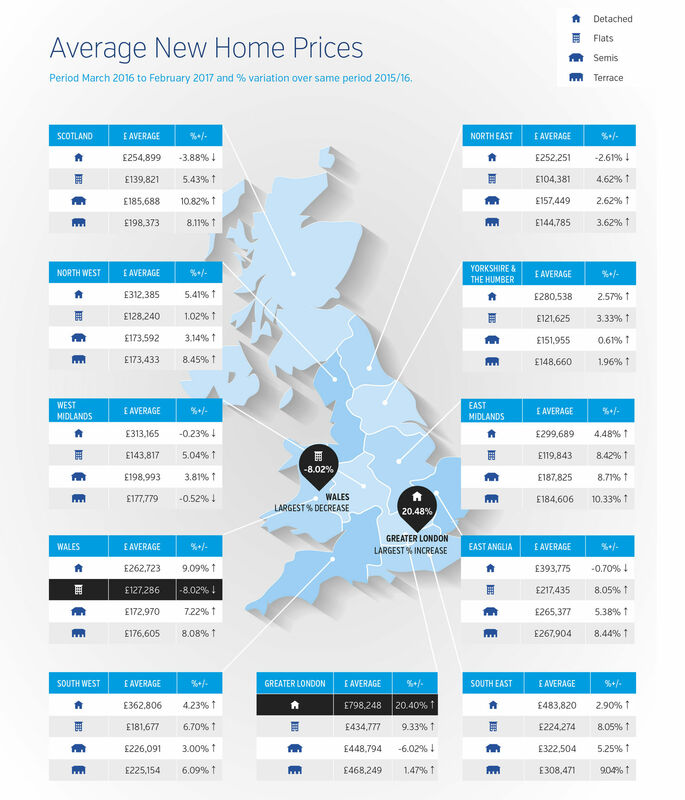 In the year to end February 2017 new build house prices rose on average by 5.3% across the UK which is approaching 2% down on last year’s figure of 7.0%. Looking at the big picture it appears as if the North is seeing a steady uplift from a low base which will be starting to take prices above the levels last seen in 2007, the year before the market crashed. Over the past nine months there has been a slow uplift from 2 to 3% across the North. The South has generally seen a few years of reasonably strong annual growth at around 6%, but this now seems to be weakening a little, with a slow decline in the growth rate being evident over the past six months.